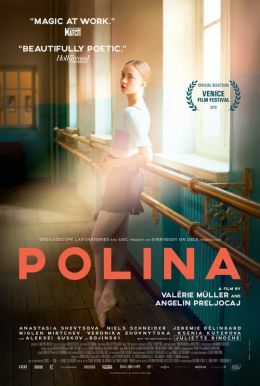 Rigorously trained from an early age by a perfectionist instructor, Polina is a promising classical ballet dancer. She is just about to join the prestigious Bolshoi Ballet when she discovers contemporary dance, a revelation that throws everything into question on a profound level. Diverting from her plan, she leaves all her exacting preparation behind and moves to France to work with famous choreographer Liria Elsa. But once there she is quickly forced to grapple with the realization that determination and hard work don't always lead to success.